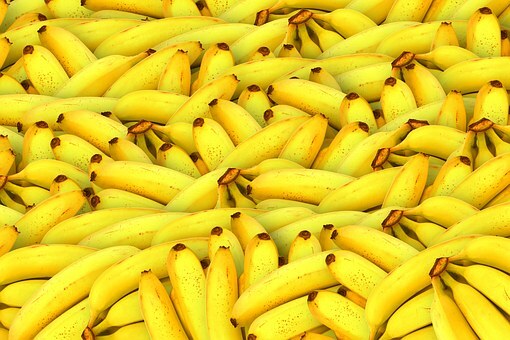 Bananas are full of nutrients. You’ll get around 90 calories and 15g of carbohydrate from a mixture of three sugars (fructose, glucose and sucrose) and starch, which means that this fruit releases it energy supply moderately. The fibre in bananas is important for protecting against bowel cancer, lowering cholesterol and stabilising blood sugar levels. Bananas also deliver potassium, which is essential for regulating fluid levels in cells, maintaining blood pressure and minimising the risk of stroke. They’re also packed with magnesium, crucial for the formation of new cells and muscle contraction and vitamin B6, which is involved in the manufacture of red blood cells as well as the breakdown of proteins, carbohydrates and fats. 30–60 minutes before exercise, during workouts lasting more than an hour or right after training. Eat them on their own or blend with some milk or yoghurt for a nutritious smoothie. Beans digest slowly, and fill you up and supply longer-lasting energy than most other foods. Beans are a low-fat source of protein and are rich in the amino acid lysine, which is lacking in most other plant proteins. Eat with pasta, oats or rice to balance the amino acids of the meal and increase the overall protein quality. Beans can help reduce the risk of heart disease, lower blood pressure, blood cholesterol levels and the chances of developing diabetes. Beans may also help prevent cancer due to their high content of phytates and phytoestrogens (which have been linked to the prevention of breast cancer in particular). Beans are also rich in iron, which is essential for transporting oxygen around the body, as well as B-vitamins, zinc and magnesium. Try to include beans or lentils in your main meals at least once a week, but aim for four times a week. Berries are densely packed with vitamins and other phytonutrients and are top of the antioxidant table (basically they’re good at preventing cellular damage). 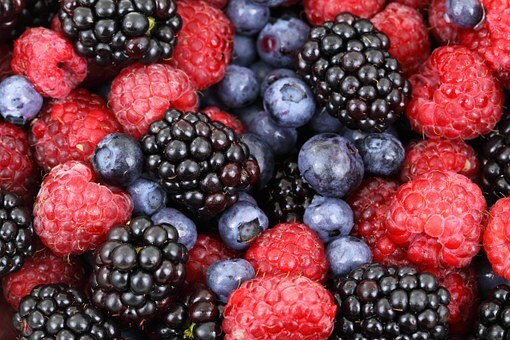 They contain compounds called anthocyanins – the pigment that gives berries their intense colour – that mop up damaging free radicals – this also helps prevent cancer and heart disease. Berries are also rich in vitamin C, which, together with the anthocyanins, helps to strengthen blood capillaries and improve blood flow around the body. Blueberries and cranberries have unique ‘anti-stick’ properties that help ward off urinary tract infections, ulcers and gum disease. Go for three to four portions of fresh berries a week. Broccoli, Brussels sprouts, curly kale, cabbage, spinach and cauliflower, contain powerful antioxidants, which disarm free radicals. They’re rich in soluble fibre, which helps slow the absorption of carbohydrates from the intestines and promotes stable blood sugar levels. Broccoli provides vitamin C and beta-carotene, two powerful antioxidant nutrients that stop the damage caused by free radicals. One serving (85g) of cooked broccoli provides approximately 100 per cent of the recommended daily requirement of vitamin C.
Brussels sprouts contain a compound, which fights cancer by triggering pre-cancerous cells to die. Even one serving (nine sprouts) can have this effect! Aim for five to seven portions of green vegetables per week. Breakfast cereal bars are made from cereal, sugars or syrup, and oil. They contain around 100 calories per bar, 2–5g fat and 8–10g sugar. The small portion size of most breakfast cereal bars also makes them a lower calorie and lower fat alternative to chocolate and confectionery bars. Many breakfast cereal bars are deceptively high in sugar, containing around one-third of their weight in the form of glucose syrup, fructose, sucrose invert or brown sugar – check out the labeling and avoid the high sugar variety for everyday use. Great snacks for before, during or after training. 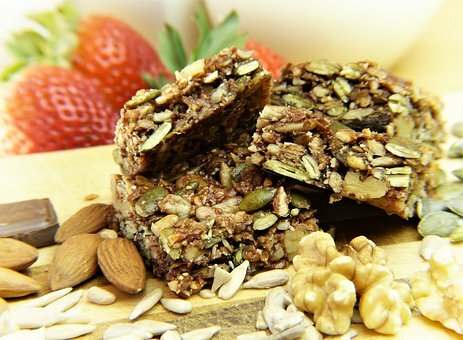 Like breakfast bars, cereal bars are handy high- carbohydrate snacks that are lower in fat and higher in fibre than chocolate or confectionery bars. They are made from cereal grains, sugars, dried fruit, oil and various combinations of nuts, seeds, chocolate or yoghurt coating. Most bars provide between 120 and 180 calories but, as with breakfast bars, check the label carefully as many brands contain hydrogenated oil or fat as well as excessive amounts of sugar and glucose syrup. Choose bars that do not contain hydrogenated or palm oil and which list wholegrains (such as oats), dried fruit or nuts higher than sugars on their ingredients’ panel. Avoid ‘yoghurt-coated’ bars as the coating is mostly hydrogenated fats and sugar (not yoghurt!). Handy when you have to eat on the move or refuel after training to replenish your carbohydrate (specifically muscle glycogen) stores. Smoothies made with fresh fruit are a great way to get your five-a-day. They are more nutritious than fruit juice because they contain all the fibre of the whole fruit. 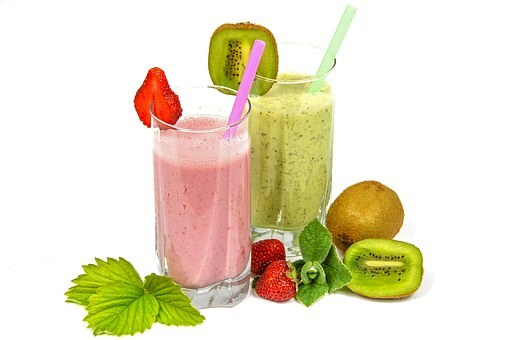 Make your own smoothie by mixing fresh fruit (such as berries, bananas and pears) with a little fruit juice or yoghurt in a smoothie maker, liquidiser or using a hand-held blender. Add milk, ground almonds or a little omega-3 rich oil for extra nutrients. Great for breakfast, as a snack on the go or as a refreshing post-workout drink. Raisins, sultanas, dried apricots, dried mangos, etc. – are a concentrated source of carbohydrate, which makes for a useful snack when you need a quick energy boost. As the fruit is dried, it provides concentrated fibre, potassium, phytonutrients and vitamins and minerals. Apricots are rich in beta-carotene and five can provide one-sixth of a person’s daily vitamin A needs. Eat a handful after exercise (with water) to speed up glycogen re-fuelling. 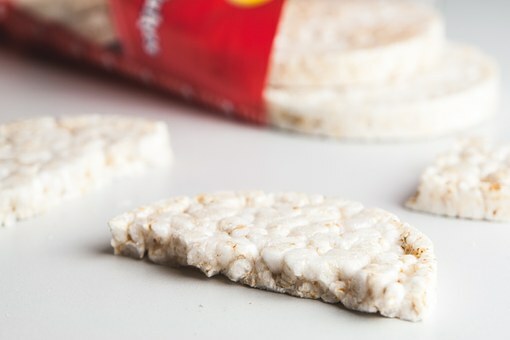 Rice cakes provide fast-absorbed carbohydrate so, on their own are good for boosting blood sugar levels immediately after training. Adding peanut butter, which releases its energy more slowly makes this snack even more effective for glycogen refueling. Peanut butter contains protein, fibre, heart-healthy monounsaturated oils and vitamin E – but don’t overdo the peanut butter because of its fat content – limit yourself to about 3 tablespoons a day. Also try rice cakes with avocado or guacamole (avocado dip), hummus (chickpea dip), cheese or low-fat soft cheese for a nutritious snack. As a quick nutritious snack. Good for eating 30 minutes before training or immediately afterwards for a blood-sugar boost and rapid glycogen replenishment. Consumed daily, oats can help lower cholesterol, thus preventing blood vessels furring up. They contain beta-glucan, a soluble fibre that mops up the precursors of cholesterol and whisks them out of the body. The fibre in oats makes you feel full. Oats contain high levels of vitamin E – a powerful antioxidant that helps protect the heart, reduces the risk of certain cancers, helps prevent premature ageing and mops up free radicals produced during intense exercise.